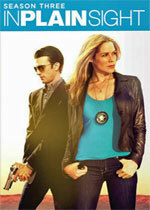 In Plain Sight: Mystery and Suspense on Television. 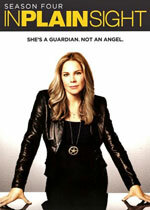 Deputy US Marshal Mary Shannon (played by Mary McCormack) works with individuals in the Federal Witness Protection Program in In Plain Sight, a series that debuted on USA Network in early summer 2008. Complicating matters is that she must hide her high-risk profession from her family and friends. The series, set in and filmed in Albuquerque, New Mexico, aired for five seasons.